With a heritage dating back over two hundred years, Robert Sorby is the world's premier manufacturer of specialist woodworking tools. 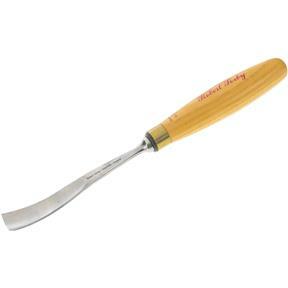 Each features a special Sheffield alloy steel unique to Robert Sorby, excellent balance, and polished razor-sharp edges that are ready for use.Profile: Bent GougeSize: 3/4"
With a heritage dating back over two hundred years, Robert Sorby is the world's premier manufacturer of specialist woodworking tools. Each features a special Sheffield alloy steel unique to Robert Sorby, excellent balance, and polished razor-sharp edges that are ready for use. Seems to be a quality product. Does exactly what I need.